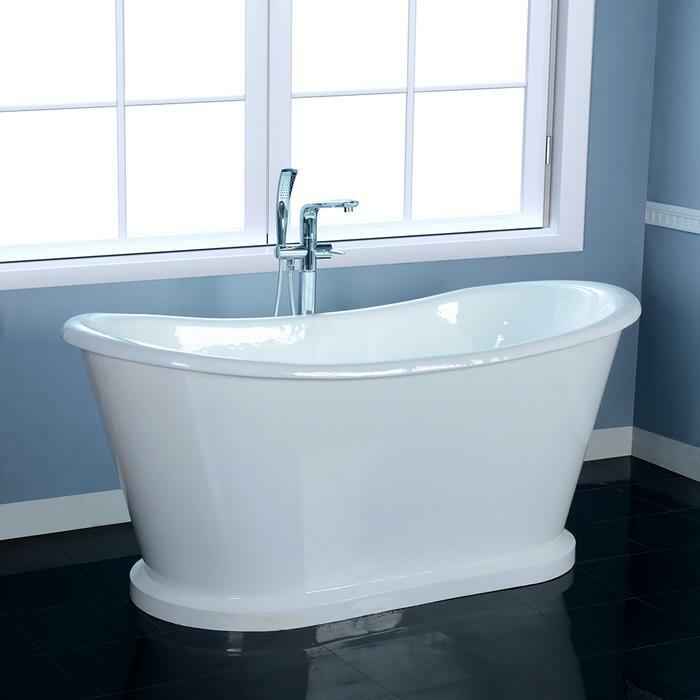 A classic beauty, the Raynor bathtub features two slopping, raised backrest and a decorative pedestal base. No faucet drilling so it can be paired with freestanding or wall mounted faucets. Choose to have the overflow drilled at no extra charge when your tub is ordered with the drain. 66" x 28 1/2" x 28 3/4"